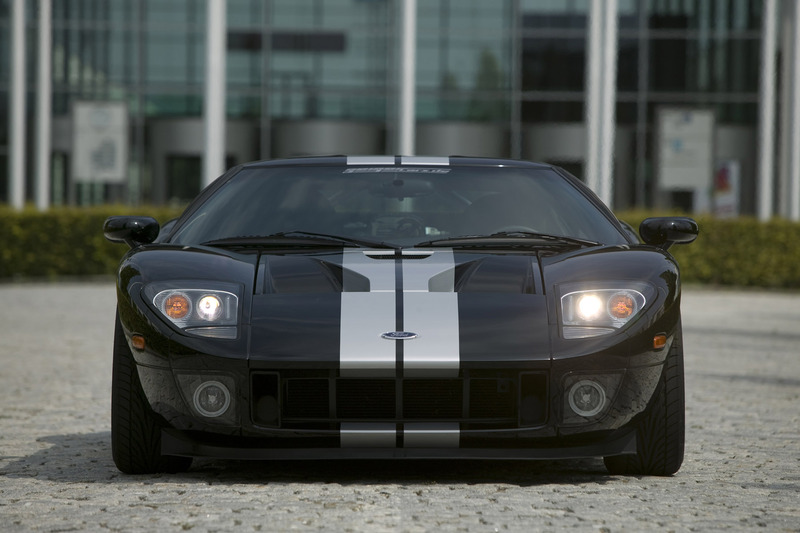 The Ford GT is a living legend. 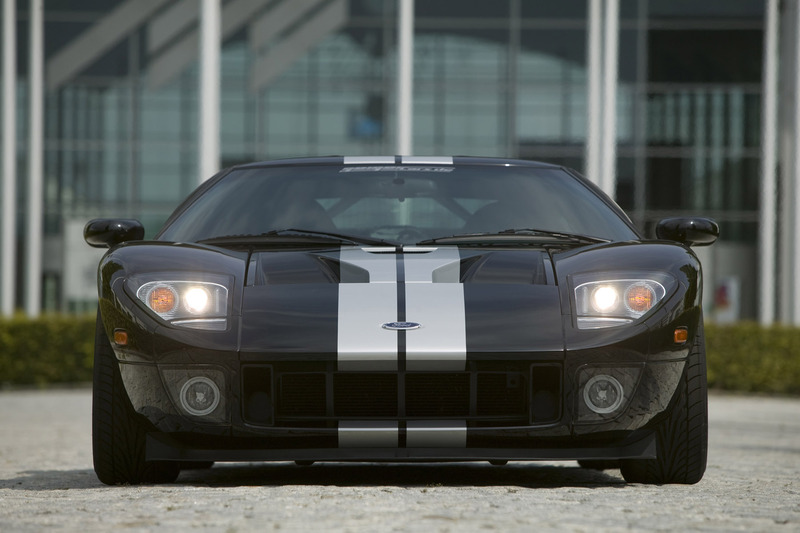 For those who have driven this car before it is hard to imagine what it means to gain 29 % more performance power. Its supercharged engine with an impressive 701 bhp/ 523kW producing a peak torque of 7407 in-lbs reaches a top speed of 211 mph. The engines shear force gives you goose bumps and its deep base just about takes your breath away. 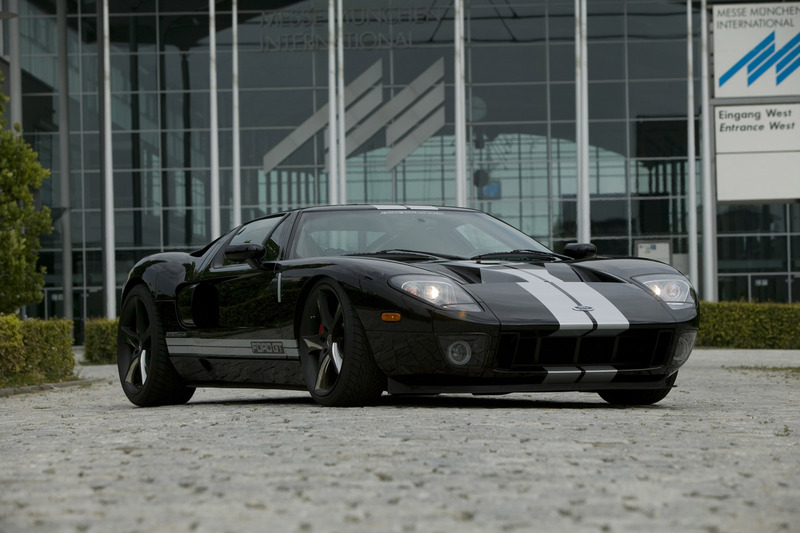 With the tuning modifications carried out by GeigerCars.de the Ford GT really outdoes itself. 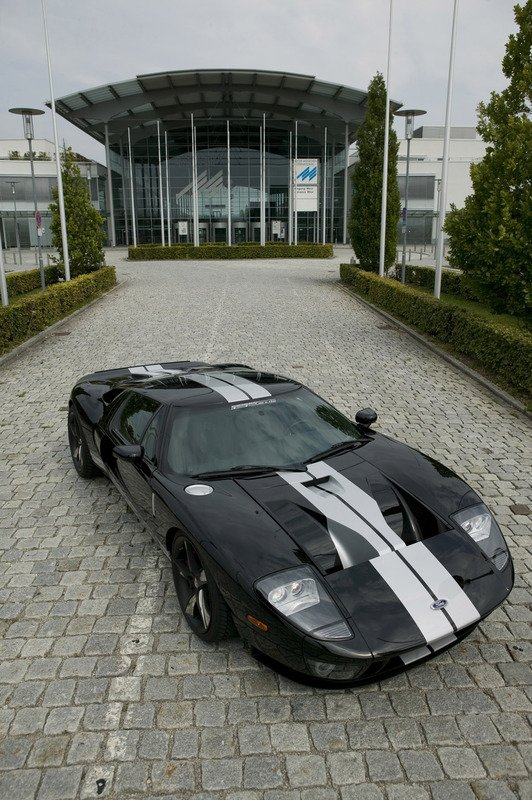 Munichs tuning specialists at GeigerCars.de converted the Ford GT 5.4 liter V8 engine entirely. 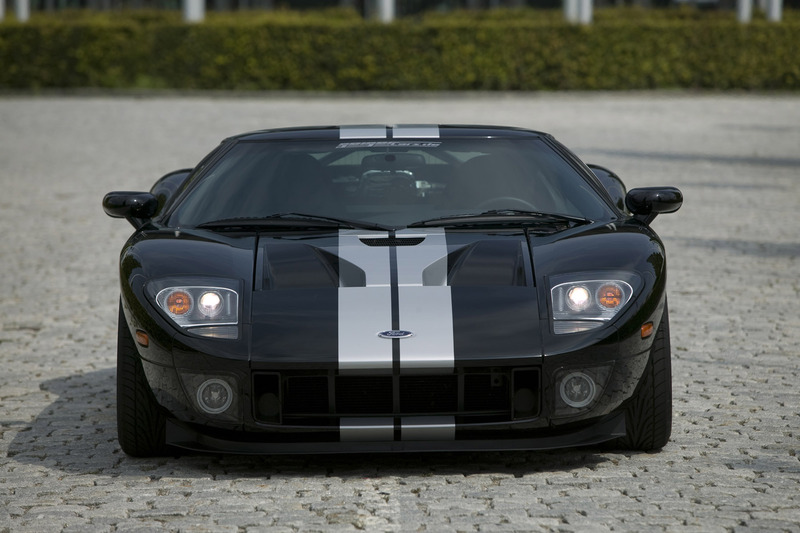 A 3.3 liter serial compressor replaces the 2.3 liter compressor and the boost pressure was raised from 0.8 to 1.25 bar. 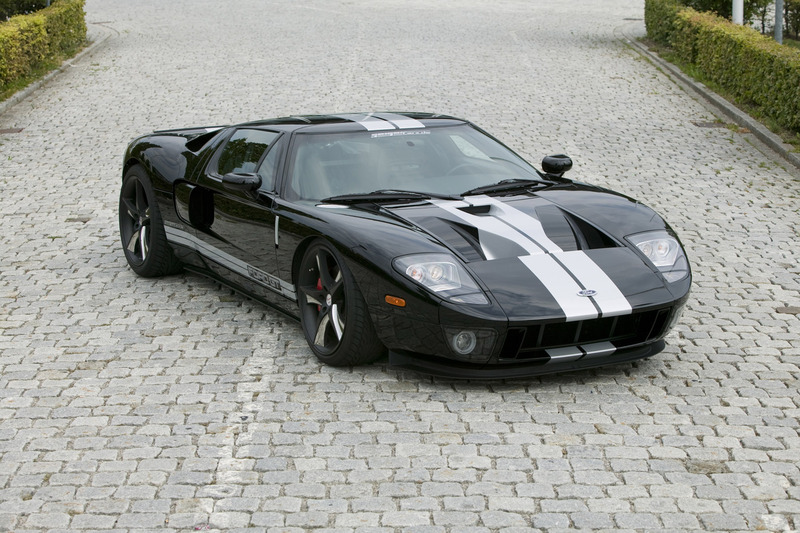 The engine electronics were reprogrammed to calibrate the GeigerCars.de power components. Enlarged throttle valves and a sport air filter provide its eight cylinders with more circulation. 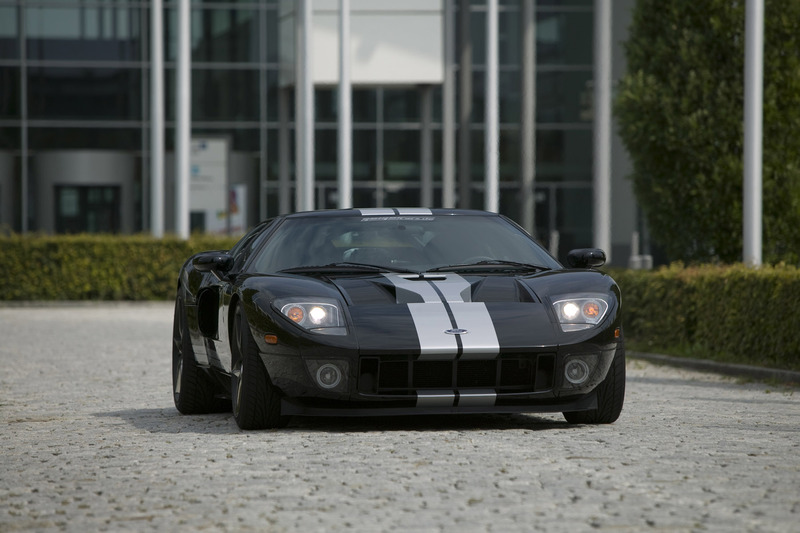 The engine and transmissions cooling system are optimized to meet the needs of the Ford GTs expanded performance. With the first step on the gas this sports car instantly demonstrates what it is capable of: a true race car. 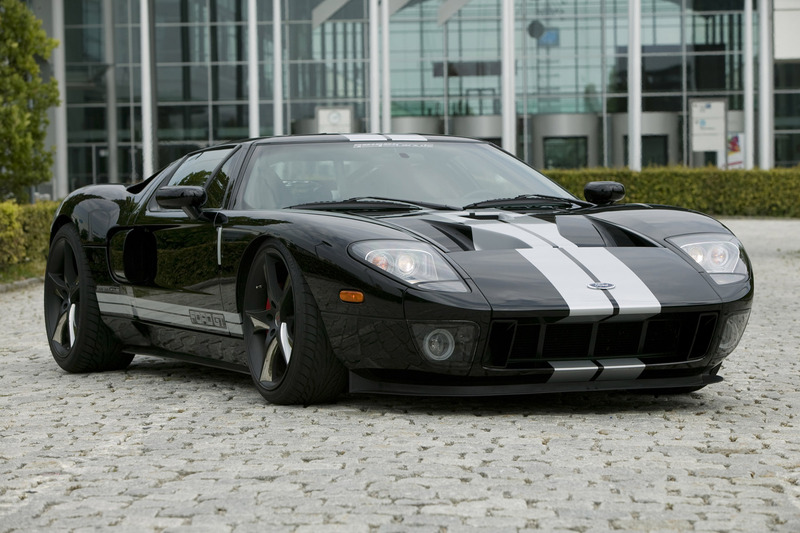 With the tuning kit from GeigerCars.de the sprint from 0 to 62 mph takes just 3.5 seconds. 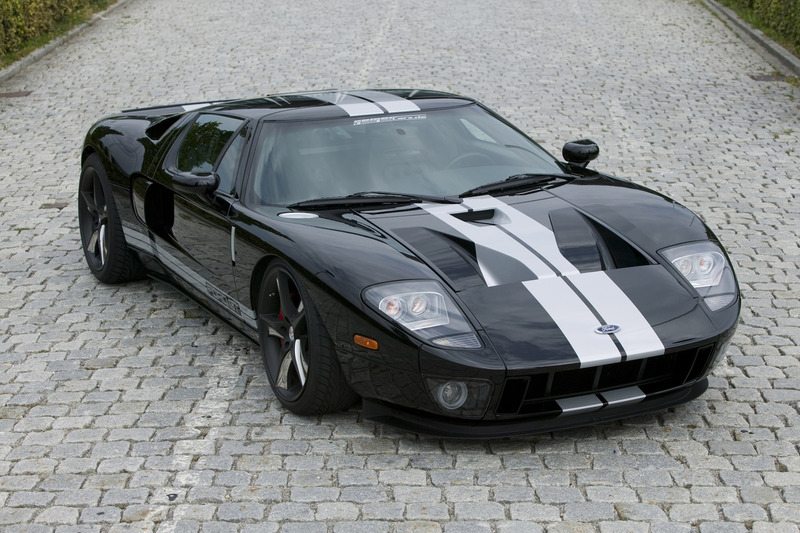 The Ford GT can cover a quarter mile in 10.9 seconds. 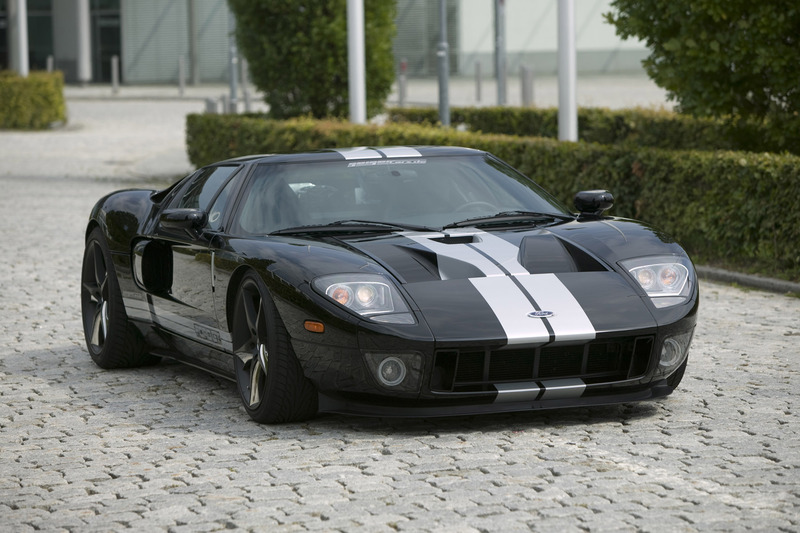 Its driving force is noticeable in first gear and does not let up - this car does not stop giving until reaching maximum speed at 211mph. Only the tires loading limit bridle the engines overwhelming power. Its top speed is limited electronically. The driving experience is acoustically enhanced with the installation of a high performance exhaust system from GeigerCars.de which accentuates the engines solid sound. 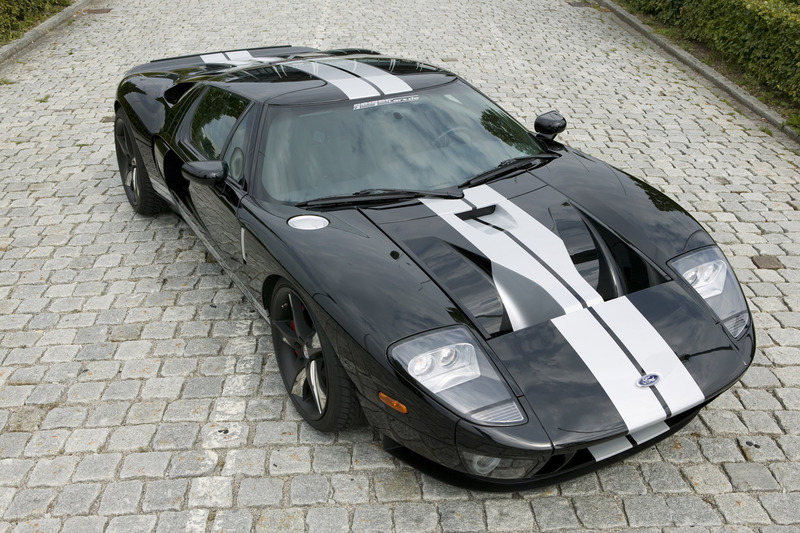 The Ford GTs powerful tailpipes have a diameter of 110 millimeters. Having removed the rear bumper the tailpipes impress in full view. Such immense force of acceleration is to be controlled with confidence. Optimum control in all situations is guaranteed by a GeigerCars.de specially designed adjustable suspension system. For optimal weight distribution of axle load between front and rear axles, the hydraulic shock absorbers can either be set in the impact or tow mode. 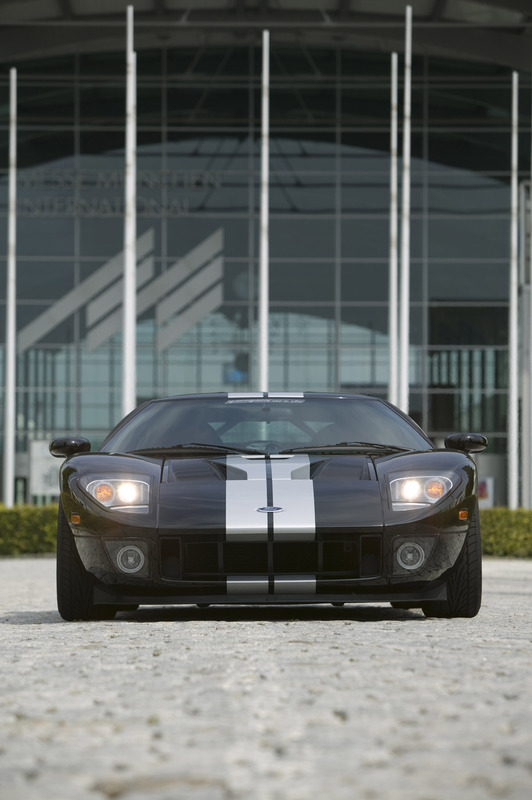 Its suspension package lowers the Ford GT by up to 60 millimeters and brings its power onto the road. In turn, its unique thin silhouette and sporty proportions are brought out by the low rider. Its high performance break system with monoblock brake calipers produced by GeigerCars.de is made for deceleration performance. 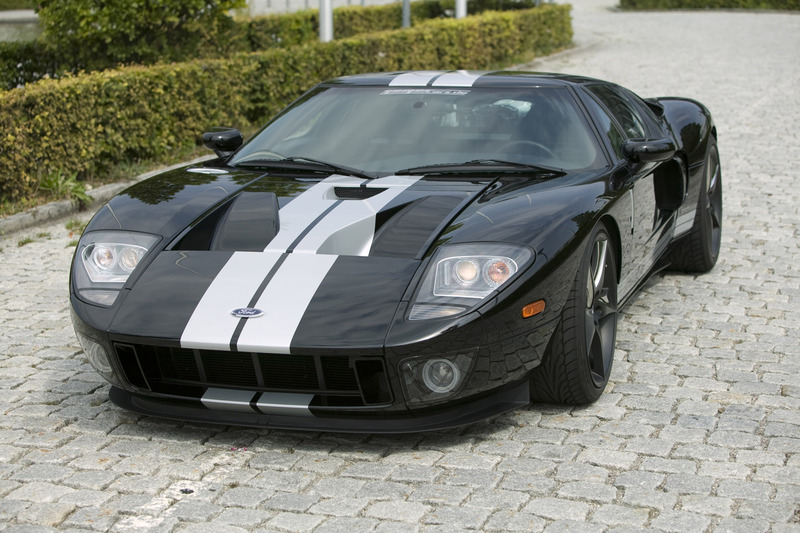 Even at over 186mph the Ford GT breaks quickly and confidently. For quick acceleration and optimum control when taking curves GeigerCars.de combines impressive 245/35R 20 size tires and 9Jx20 light alloy wheels on the front axle and 325/30R 21 size tires and 11x21 wheels on the rear axle. Such distribution gives the car a safe grip even at fast cornering. 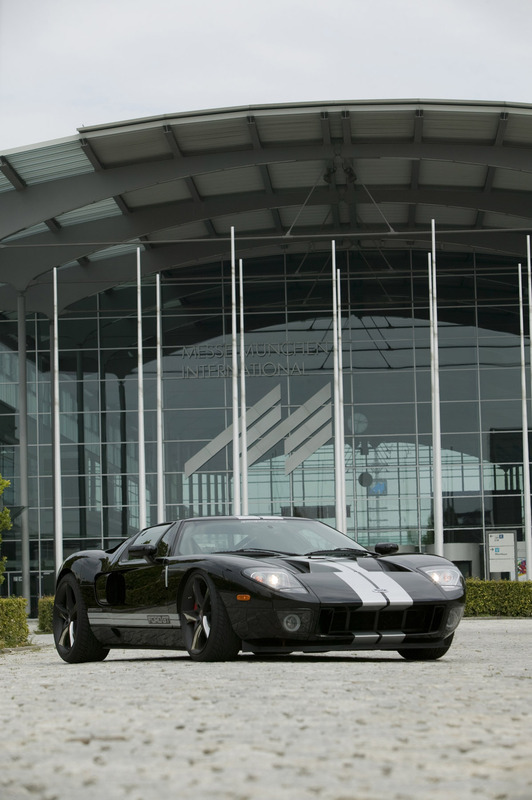 The Ford GTs impressive outer appearance is completed with the addition of a Geigercars.de wheel set in black with stainless steel inlays.